I’ve worn this dress once before on a loan. 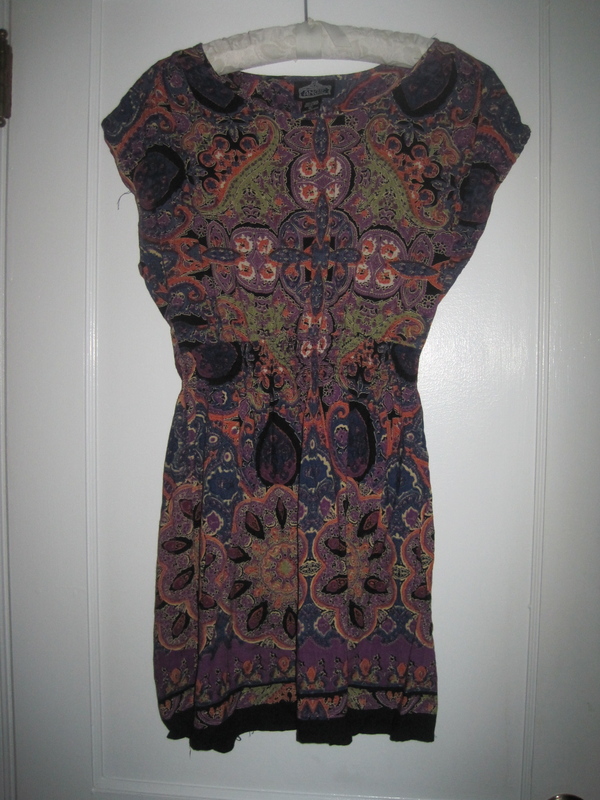 Now my sister has given me the dress, and I love it! I would not have bought it for myself, but I love how sometimes clothes grow on you, or hand-me-downs encourage you to broaden your style. This time last year: July 10. Thanks for reading! 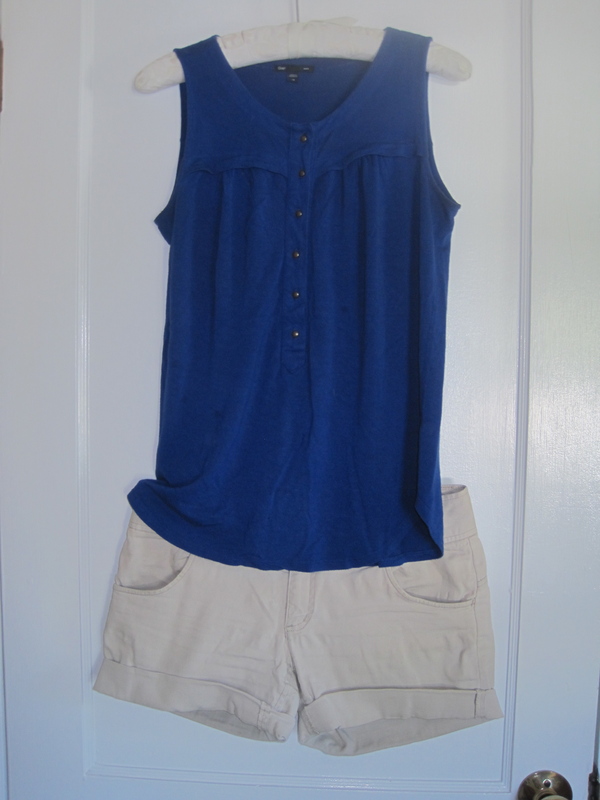 This entry was posted in Daily Outfit and tagged blue, dress, hand-me-downs, khaki, patterns. Bookmark the permalink.